Showing sad articles for tag "movies"
Titanic (1997) is probably the most well-known movie on this top 5. 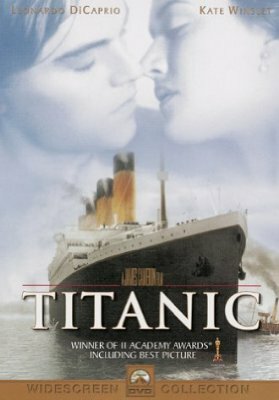 The movie itself takes place on the first trip of the ship “Titanic”. The movie starts in 1996, where a team of divers tries to find the sunken ship. They are searching for a previous diamond. The divers find the ship, but they do not find the diamond that they were looking for in the first place. We hear the story about Rose Dewitt Bukater. She was only 17 years old when Titanic sat sails from Southampton in England. Titanic was supposed to travel to New York. She is traveling along with her mother and her fiancé. At the first night at the ship, Rose tries to commit suicide by jumping in the water. It does not work out because she is stopped by a man named Jack. Had I known this will be the end, I could have held you tighter, kissed you harder, loved you more, spend more time with you and I wish I could get back all the time I wasted being a stupid, stubborn, confused and angry. Now, all I can do is bid you goodbye my lover, goodbye my friend. Ruk says: Can someone just talk with me please..i need a bit of counseling..The only girl i loved since teenage left me..
Can someone just talk with me please..i need a bit of counseling..The only girl i loved since teenage left me..